MIDDLEBURY — A therapeutic horse riding organization wants to expand and an Elkhart family just gave Loveway the largest gift it has ever received. 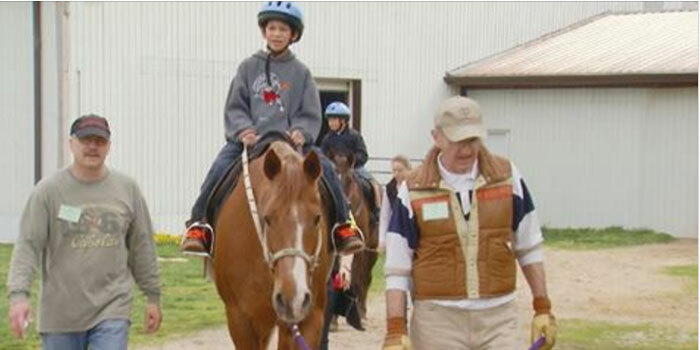 The LoveWay program provides therapeutic horse riding services for their clients with special need. Funding for the volunteer-staffed program usually comes from three fundraisers a year, plus donations. Word that LoveWay received a $1 million donation caught many staffers by surprise. “Absolutely, we were so shocked and you know that’s something that doesn’t happen for a lot of not-for-profits. It was something that I don’t think anybody was expecting and we just feel very fortunate and blessed,” said Maggie Korenstra, an instructor and volunteer at LoveWay. “We have so many expenses. Just keeping the horses alone is a huge budget. So any time we can get some extra help with that, it’s just amazing. It’s actually almost a miracle, so we are very excited about it,” said Sharon Jones, the LoveWay Program Manager. Right now they are looking into and considering the best ways to make use of this money. Currently, they serve anywhere from 300 to 318 riders a year. Could they take that number up to 400 and also allow them to be here twice week, instead of one day a week as they currently do? “It gives us so many opportunities now. It’s going to be a challenge to use the money to perhaps expand our services and maybe serve even more children,” said Jones. The donation came from Hans and Tina Ashbaugh of Elkhart. LoveWay says it always needs volunteers and donations to stay in operation.